What do I need to know about Blepharoplasty? FYI, Blepharoplasty is also know Eyelid Rejuvenation and is one of the most popular facelift procedures in Australia. An eyelid rejuvenation can give men a startled or staring appearance. This appearance is classically seen when patients have a brow lift as the eyebrows are in a higher pitched position and the patient may look startled. With blepharoplasty, the results from blepharoplasty are generally more natural as just the skin is removed from the upper eyelid while the brow remains in the same position. 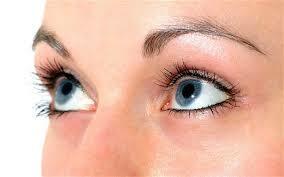 The lower eyelid is treated with the removal of fat bags and possibly the wrinkles. What is the goal of eyelid surgery? The goal of surgery is to make the patient look less tired. When skin hangs over the upper eyelids, it gives a very tired appearance to the face as does the fat bags of the lower lid which causes shadowing. In some patients their skin can bother their vision in which case there is a real medical need for this procedure. What’s new in laser eyelid rejuvenation, Blepharoplasty? The biggest breakthrough in our hands was the introduction of laser. We use a CO2 laser in a cutting mode. This allows me to reduce or stop bleeding and gives me the best visual appearance of the area that we are removing. There is also always a lot of fat underneath for removal. With the laser, this can easily be removed. The advantage as well is seen on the lower eyelid where the fat bags are removed from inside the eyelid and there is actually no stitches or cutting of the skin on the outside which means less scarring and less risk of the lower lid being pulled down? An increasingly large amount of patients now opt for Blepharoplasty procedures. The lower eyelid fat bags are removed from within the eyelid and this creates a more natural shape to the lower eyelid and removes the shadow. If you’re looking to remove fat from the eyelid, get a free consultation at Melbourne Blepharoplasty clinic with Dr Lanzer. I like to perform this procedure whilst the patient is asleep as it is not all that comfortable to be awake. It is not all that comfortable to be awake. It is therefore performed under light anesthetic in our day-surgery-centre in Melbourne. Patients from all over Australia fly into Melbourne for the procedure. I consult the patients initially by internet and once they are comfortable, they can fly in on the day and have the procedure. As we have many centers around Australia, the aftercare is always done at home. There are 3 procedures that are performed for laser eyelid blepharoplasty. First of all, the upper eyelid skin is removed through an incision cut right deep in the crease of the upper eyelid. This is why there is usually very little scarring as the incision is in the natural crease. At the same time fat is removed and stitches are placed there to close the suture. The stitches are dissolved by the next 10 days. When there is wrinkling of the skin particularly in fair skinned patients, I would perform a laser erbium resurfacing to smooth the skin so that it is smoother and tighter in this area. Click on picture above to see more photos or click here. This facelift procedure results generally are described as natural in that the male patients look the same but just more rejuvenation. Having performed this procedure for over 20 years, I believe the results are very long lasting. I have performed it in patients of all different age groups from those in their 20’s up to the 80’s. The lower eyelid heals in a couple of days. The upper eyelid takes 7-10 days for men. In some facelift patients one has to look at a brow lift because the brows are droopy and they need to be lifted, either through a direct incision of a brow lift, directly above the eyebrow or through endoscopic brow lift higher up in the scalp. Occasionally, we inject fat and other fillers into the cheeks to support the lower eyelid as well. What is the most commonly asked questions? People often ask me: “Will people be able to tell that I have had it done?” The majority of patients answer no. It does give a natural result with patients just looking fresher and healthier. It is a fairly straightforward procedure performed with a laser that makes the face look younger healthier and less tired. When lasers were introduced in 1994, I was involved with a group of dermatologists who taught other cosmetic surgeons and dermatologist surgeons how to perform the procedures. I did my initial training in America in Oklahoma with the surgeons who pioneered these procedures. Dermatologists have played a great role in the development and introduction of lasers in cosmetic procedures and cosmetic surgery. A lot of the early developments that I was involved in were featured on programs such as “Today Tonight”, “A Current Affairs”, and “Mid Day Show” with Ray Martin. All photographs represent one person’s experience, and results may vary for each patient. All photographs are of actual patients of Dr Lanzer. The visible change in these photographs has occurred as a result of the procedure/s undertaken. Best results are obtained when the procedure is combined with a balanced diet and exercise. Some before and after photos shown are not exact, in that they vary in light, contrast, clothing, background, distance from camera, hairstyle and make-up. We offer a FREE, No Obligation Cosmetic Surgery Consultation and a detailed explanation of the procedure. Dr Lanzer can email all patients a detailed consent form which provides information related to the surgery. This information is made available to all patients before surgery, allowing enough time for the patient to ask any questions they may have.